Welcome to Monday and weather temps beginning to climb again. So unusual for New England as usually these high temps don't come until August. We used to call them Dog Daze of August. It would appear that every hundred years, the weather patterns change dramatically? Wonder what weather is like your world? Hope you also had a very pleasant weekend. What a wonderful post Carol. Great photos and a wonderful haiku on inspiration. Thank you for sharing. I love the fountain, it has a neat design. Your haiku is pretty, I can picture the trees bending in the wind. Beautiful sky shot. It has been hot and humid here, rain off and on. Wishing you a happy week ahead! 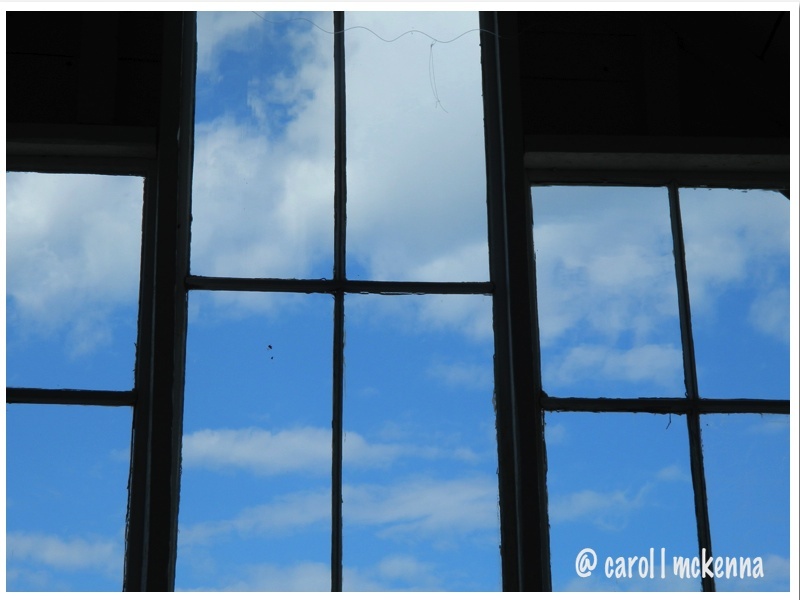 I love those old windows...and of course, what's not to love about a tug boat? Wonderful fountain and soft, lovely haiku! A wonderful collection today Carol. Whispering trees inspire those who choose to hear. The fountain looks like a tree in a rainstorm, what inspiring things it must say. Ah, well I live in Florida, and we've enjoyed temperatures in the upper 80's and low 90's for several weeks. Very nice collection of pretty and interesting sights. The fountains are a great capture for blue Monday. I wish all inspiration were soft and gentle as a breeze. Unfortunately, a lot of what inspires me comes with hurricane force! I love that water fountain. I saw a similar one in Austria several years ago. 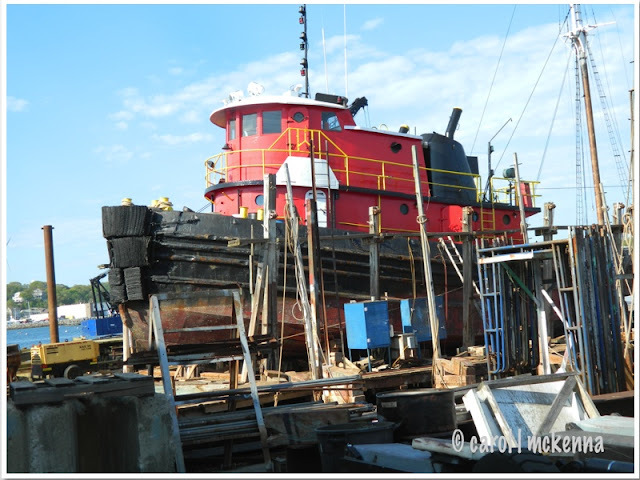 Your tugboat photo shows a lot of character! 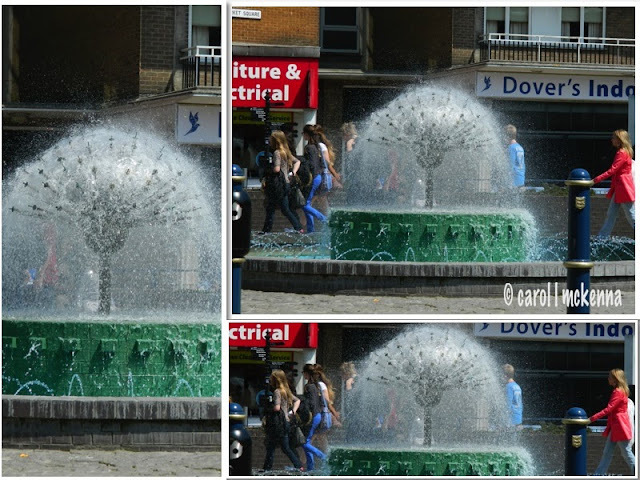 That water fountain is truly a work of art! I love the water fountain ! I first thought it was these flowers that kids like to blow off ! I think it would be SO awesome to come across a real live tugboat. I've only seen them in pictures but I think they're great. The tugboat looks as if it has offered many years of service! And still looks grand! The water fountain puts on a magical display! Hi Carol. Wonderful photos. Great fountain. Enjoyed your Haiku. 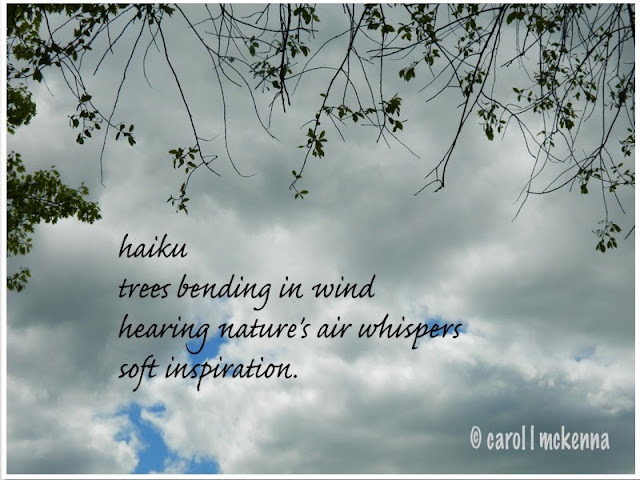 beautiful haiku - so restful. Have a wonderful week and thank you for stopping by my blog this week.